Are you looking for someone to ironing your clothes & garments in or around Narre Warren? At United Home Services we provide a range of ironing services, the most popular being our pick up and drop off ironing service on a weekly, fortnightly or monthly basis in the areas of Narre Warren, Berwick, Beaconsfield, Officer, Hallam, Hampton Park, Endeavour Hills, Doveton, Eumemmering & the surrounding suburbs. If you’re in any one of these areas would like a quotation for your ironing, submit a website enquiry and we’ll be in touch shortly. Hi, I’m Shahnaz of United Home Services Ironing Narre Warren. 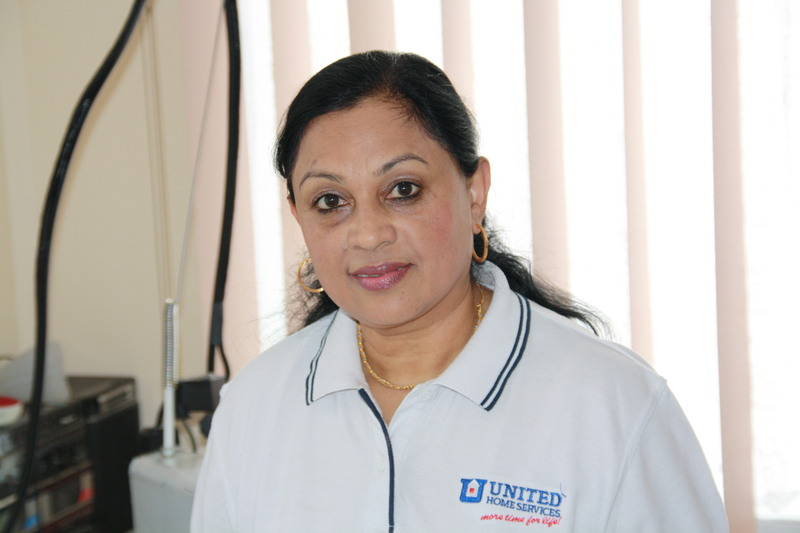 I have been a franchisee with United Home Services since 2000. I take a personal pride in the service I provide and enjoy making my customers’ ironing look fabulous. I provide a regular ironing service, done in a smoke free environment, either weekly, fortnightly, one off or as required, with pickup and delivery being part of my service.